Amazon’s budget tablet gets gibber, but is it still beautiful? Unlike rival tablet manufacturers, Amazon really drives home the fact that it’s selling the Kindle Fire as a means of selling you more content. This is evident in many places throughout the operating system: from the lock screen, which shows adverts and special offers unless you pay $15 to turn them off, to the home screen that suggests more items you can buy. If you already buy eBooks from the Kindle store, music from Amazon’s MP3 Music Store or subscribe to Lovefilm (which Amazon owns), then the Books, Music and Video tabs at the top of the screen will show content you’ve bought and rented. Links built into each tab take you to the appropriate section of the built-in app for accessing the Amazon store to buy more. 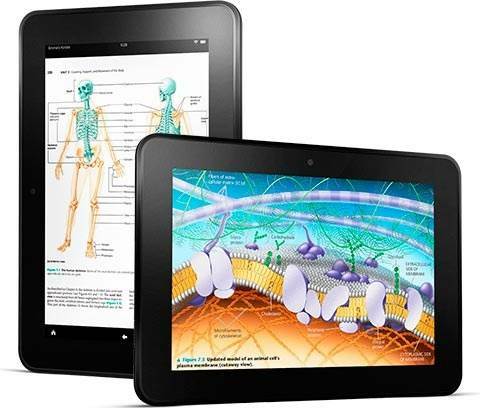 Although the Kindle Fire HD’s operating system is based on Android, it’s so heavily modified that it can’t run standard Android apps or access the Google Play store. Apps are instead downloaded from Amazon’s own Kindle Fire app store. Although many popular favorites, such as Skype, are present, it’s not as well stocked as Google Play. However, there are fewer dodgy-looking apps because Amazon is pickier about which apps it sells. 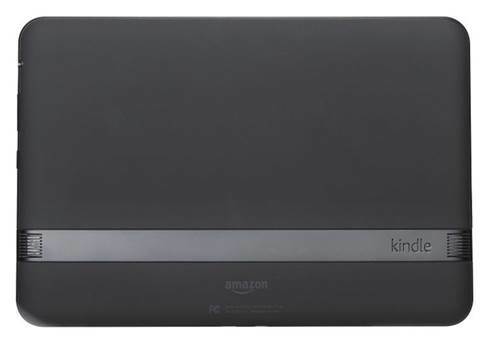 Physically, the Kindle Fire HD 8.9in has the same plain, sturdy design as its 7in cousin. The most significant difference is the bigger, higher-resolution screen. The display’s 1,920 x 1,200 -pixel resolution is great, not only for watching videos, but also for reading web pages and emails because text is crisp and smooth. It’s not quite as good quality as the iPad 4’s screen, though. At 500g, the Kindle Fire HD is around 100g lighter than Apple’s tablet, but it can’t match either the iPad 4 or iPad Mini for battery life. When playing videos on a loop, it lasted just less than nine hours. This is still respectable though. The controls weren’t as comfortable to use as they should be; the volume and power buttons are flat, making them tricky to find by touch. We’re not keen on the on-screen keyboard either, because the keys are too small for typing, especially when it is held horizontally. The Kindle HD has 16 or 32GB of storage built in, and there’s no memory card slot for adding more, but you can store content on Amazon’s servers. Apps and eBooks you’ve already opened are downloaded automatically. If you’re away from Wi-Fi, you will need to ensure you’ve downloaded what you want to take with you. It’s therefore a shame there’s no built-in 3G option.